On Friday last a pistol shot that was heard in two hemispheres, and reverberated around the world announced the attempted assassination of President McKinley. This is the third President on whom attempts at assassination have been made. Two of them have died and it is feared that President McKinley may share a like fate. John Wilkes Booth gained an unenviable notoriety by his assassination of Abraham Lincoln, and Charles Guiteau went down to history with Booth, as the infamous murderer of President Garﬁeld: and possibly this assassin of McKinley wishes to place his name upon the scroll of murderers of persons in high places. That this country should be the home of anarchists, socialists, nihilists, and other organizations of foreign import, is a pity, and pity ’tis it is true. How is it to be remedied? We cannot suggest one. But it appears that with all the wisdom for which the American people are noted, something must be done in the way of legislation to rid-this country of scamps and cranks of foreign import; if nothing can be done with those who are native to the soil. The attempt is with the trial. By what we have said of “scamps and cranks of foreign imports” we do not wish to be understood as meaning all persons of foreign birth who have immigrated to this country. We have some nice citizens of “foreign birth,” many of whom are superior to the native born, and are an honor to America; our allusions are only to those who come here for the purpose of exciting sedition, and have no hesitancy in declaring themselves Anarchists, Nihilists, and the like. Such persons as Herr Most and Emma Goldman should be banished from America. Tomatoes are booming. They are going up so fast that peaches are lost sight of. Thirty-ﬁve cents was paid the latter part of last week, and is being paid this week at the Milton Station. Most of the shipment is being made by rail to Baltimore, through D. M. Conwell, principal agent for Baltimore factories. It is noted that the Wagaman Bros., who recently purchased the Paynter Mill property in Milton, will remove their steam mill outﬁt to this stream. Water power is cheaper than steam power, other things being equal. This is not only a pretty, but a beautiful stream. The lower part embraces Lake Fanganzyki, with its romantic shores; bordered on the north by its pretty shores made most beautiful by its clusters of growing grapes; on the east by its splendid building growing populace, and ever-to-be admired churches and school building of Milton; on the south by the railroad, and the little town of Georgetown. Point Desolation, a prominent cape that extends into Lake Fanganzyki on the southwest, is much admired by the tourists who have visited Milton during this season. A description of this place would be admired by all, with its commanding scenery, and general paraphernalia of advantages. A place for the artist’s easel and his stylus, but as we are not writing a history we must desist. Nevertheless, Point Desolation will loom up anon. William Tomlinson, Esq., attorney-at-law of New York City, is visiting his parents, Mr. and Mrs. William B. Tomlinson. Mr. J. B. Mustard, engaged in trolley work in Philadelphia, is for ten days visiting his mother and daughters. Mr. Mustard is the son of the late J. H. B. Mustard. He was postmaster at Milton from 1885 to 1889, and having lost his wife immigrated to-Spanish Fork, Utah. There he became identiﬁed with politics, and was such a good worker that he succeeded in getting the appointment as postmaster of that town over his polygamist competitors. (Mr. Mustard was a Gentile then, and is yet for aught I know).That office he held from 1893 to 1897, when by the force of circumstances, and the inevitable decree of a political succession, he was superseded by another. Mr. Mustard then returned to Delaware. Subsequently he went to Philadelphia, and engaged at his present business. He is in comparatively ill health, and his present visit to Milton is as much for recuperation as anything else. Miss Fannie Leonard and Miss Sallie Fields, left Milton on Tuesday as delegates to attend the M. P. Sunday School Convention to be held at Harrington Wednesday and Thursday. Mr. W. W. Conwell, business manager for the Lewes National Bank of this town, and a prominent officer in several enterprises of note, has returned from New Jersey, whither he has been on business connected with his office. James Ponder, attorney-at-law of Wilmington, arrived at the home of his mother on the 11.30 train on Tuesday. Captain Richard Steelman, of Redden, an extensive burner and dealer in charcoal in various parts of the county, was in town on Monday. We have been acquainted with Captain Steelman for at least twenty-ﬁre years, and we think he is like “old wine,” he improves by age. He is a former resident of New Jersey. 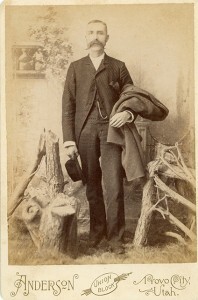 Mr. J. Roland Lynch, of Philadelphia, is visiting his parents at the Hart House. The “pipe fence” at the P. E. Church is nearly completed. The painting of Dr. James A. Hopkins house is about completed. As it has been in the hands of several artists who are experts in their line, it is impossible for us to give the credit of the work to any particular man. Mrs. Susie B. Davidson of Wilmington, is visiting her parents Mr. and Mrs. D. A. Conner. Mrs. Davidson will teach the school at Williams during the fall and winter term. Dr. W. J. Hearn, wife and daughter, Miss Mame, and Mrs. Primrose, are occupying their cottage at Broadkiln; of course, Jake is there too. Mrs. Annie M. Holland, wife of John C. Holland, died at her home near Rehoboth, on Thursday of paralysis, aged 50 years, 5 months and 7 days. Funeral services on Saturday at the Presbyterian Church in Rehoboth, conducted by the Rev. Mr. Wainwright, and interment in that cemetery. S. J. Wilson, of Milton, conducted the funeral. Mrs. Eliza J. Dallas, wife of John C. Dallas, died at their cottage at Slaughter Beach on Thursday, September 5th, of typhoid fever, aged 37 years, 8 months, and :2 days. She was-the daughter of Mr. and Mrs. James Darby of Slaughter Neck. Mr. S. J. Wilson, who directed the funeral, buried about four weeks ago Mrs. Morgan, a sister of the deceased, who died of the same disease, and whose interment was directed by the same minister, Rev. V. E. Hills, and whose funeral director was the same, S. J. Wilson, of Milton. Mr. Joseph Green died at his late home in Georgetown on Monday of paralysis, aged 64 years,-3 months and 9 days. Funeral at the Presbyterian Church in Georgetown on Wednesday, interment in Union Cemetery. He leaves one daughter and three sons. S. J. Wilson funeral director. Mrs. D. A. Conner is quite ill with gastric troubles.